Choosing between the GRE vs. GMAT: Which is more difficult? You might have heard that many who take the GRE are also taking the GMAT, or vice versa. You may be wondering which test is easier, or which is better if you plan to get your MBA. If you are wondering exactly what the GMAT is and how it differs from the GRE, then this post should answer all your questions. GRE vs. GMAT – Which test should you take? Use our infographic to decide! The GMAT is the standardized test for Business school. Like the GRE, it consists of a Verbal and Quantitative section. Unlike the GRE, the two sections are combined to give a composite score of 800. The GMAT cannot be used in place of the GRE, so unless you are going to business school, do not take the GMAT. What does business school have to do with the GRE? Unlike the GMAT, which only those applying to business school sit for, the GRE is accepted by many accredited business schools (ever hear of Stanford or Harvard?). That is not to say all the top business programs accept a GRE score. Always check with the business program to see which ones accept GRE scores. Is the GMAT more difficult than the GRE? It depends. That is, it depends on who is taking the test. For those with strong Quant skills the GRE math will seem easy. The GMAT math is definitely more daunting. So if you struggle with Quant the GMAT will seem very difficult. On the other hand if you struggle with the nuances of vocabulary and style, the GRE verbal section may be very difficult. That is not to say that the GMAT verbal is easier. But the Sentence Corrections section is more of the science of grammar, and those with logical minds tend to be more adept at quickly sifting through a morass of words to find grammatical errors. The GRE Text Completions and Sentence Equivalence questions, by contrast, are testing the art of word usage, a skill most humanities majors have been honing for years. So should I take the GMAT or the GRE? For those applying to business school, first make sure that your program accepts the GRE. If so, then ask yourself which test better shows off your strengths. If you are unsure, you can always take an official GRE practice test and an official GMAT test (both are free). Possibly decide which would be best for you by checking out the GMAT scores of MBA programs, and comparing them with your achieved score. You can do the same for the GRE by comparing your score to the average GRE test scores. If you score significantly better on one, then the answer is clear. If there isn’t much difference, spend a week getting a feel for each test to see which one suits your skill set better. No matter whether you decide to take the GRE or the GMAT, we’re here to help. Check out Magoosh GRE prep or Magoosh GMAT prep today! Note: This post was originally published in March 2014. In September 2018, we updated it for freshness, accuracy, and comprehensiveness. 150 Responses to GRE vs. GMAT – Which Should You Take? Can someone recommend me which one of the two exams should I shoot for? All the math concepts tested on the GRE are the same on the GMAT. The word problems on the GRE are similar to the word problems on the GMAT. Also, the GMAT is all multiple choice questions, so you won’t see any numeric entry questions or choose all answers that apply. But, the math on the GMAT tends to be a little more difficult. Also, some of the question types on the GRE, Quantitative Comparison and Data Interpretation, are not on the GMAT, but there are questions that are comparable. If you’re worried about the Quant section, then I would maybe recommend the GRE. There’s also no calculator on the GMAT! However, it’s ultimately your decision. 🙂 You should choose the exam that you think you would do the best on! I am btech student in computer science and want to go Canada to do Msc in Environmental Science. And one more thing I am weak in quants section. And please can you suggest some universities in Canada that offer Msc in Environmental Science. Which test should I take for applying into Msc in Environmental Science? hi, i am Rohit, and i am 27 years. i have bachelor degree in mechanical and masters in oil and gas engineering. I have 2 years of experience in mechanical industry also. Is it good time to give GAMT and try to go abroad for business school? It might be a good time– certainly some schools would accept you. However, I can also tell you that many B-schools either treat two years of experience as an absolute minimum or require more than two years of experience. My advice is to start investigating the schools you’d be interested in applying to. If you have enough experience for those schools right now, go ahead and start working on your application, GMAT included. Or, if the schools want you to have another year or two of experience, keep working for now. Most business schools accept the GMAT, but some accept both the GMAT and GRE. You should look up the testing requirements for your target schools to determine which test is accepted by the schools you plan to apply to. Hi there I have completed BBA hons and then MBA in finance total 18 years of education now I want to do PhD in finance. Which one would you recommend for me GRE or GMAT also in GRE there is subject and general which one should I opt. that’s an impressive resume already! 🙂 So let’s talk about your testing options for leveling up with a doctorate. In all honesty, PhD finance program requirements vary a lot from school. To my knowledge, most programs will ask either for the GRE or GMAT; requirements for a GRE subject test are relatively uncommon. To know for sure which test you should take (or whether you should take more than one test), I recommend carefully checking the requirements of the specific programs you’re applying to. Then take the test or tests that give you a chance at your target schools. Hi, Can you please explain me the type of scholarships available for both the exams please? Thanks. If you’re asking about scholarships for university that are based on good GRE scores, Magoosh has an article on that here on the blog. Check out Rachel’s article on how to use your GRE scores to get scholarships. Much of the advice in that article also applies to GMAT scholarships, with the exception of scholarships for research. GMAT-based scholarships are generally for tuition only, and do not fund research or fieldwork., If you’re talking about scholarships to subsidize the testing fees for the GRE or GMAT. If you’re also wondering about scholarships that can subsidize the registration fees for the test, both the GRE and GMAT have fee waiver programs that can partly or fully subsidize test fees for students. See ETS’s fee waiver page and GMAC’s fee waiver page for more information. Its really great to see you replying to almost all the queries. Well,my query is,i am a b tech student in biochemical engineering. I am torn between which exam to take. Can i not go for GMAT being an engineering graduate? Thanks! We try to respond to as many students as possible 🙂 Usually, the GMAT is only accepted for business schools, while the GRE is a general exam accepted by all disciplines. It’s possible that some biochemical engineering schools accept the GMAT, but I haven’t heard of it. GMAC (the makers of the GMAT) publish a list of the schools that accept the GMAT. You should look up the programs you are interested in to see if they accept the GMAT.I would say that the GRE would be the better choice for you, since almost all graduate schools accept the GRE. If you take the GMAT, you will definitely be limited in what programs you can apply for! Are GRE scores valid in india? Which all universities in india accept the GRE score? I did a quick Googling for “universities in India that accept GRE,” and it looks like there are quite a few who do this, including some B-schools. Here is a link to the Google results. As you can see, this is a common and growing practice. So much so, that there may not be any one complete list of Indian GRE-accepting schools. So I recommend you simply check the website or admissions office of any Indian school you’re applying to in order to see if they take the GRE, and what their required scores might be. I need to apply for the executive mba .The university is allowing both GMAT as well as GRE scores.The last date for registration is 15 jan 2018.So which course I should opt for ,also I am a working professional. This answer depends completely on your personal strengths and weaknesses! If you are strong in quant and prefer to learn about grammar and critical reasoning, then the GMAT might be the best test. 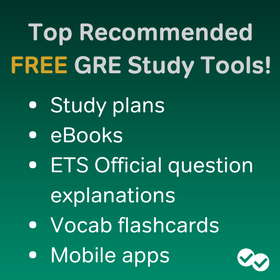 If you have a strong vocabulary and reading comprehension skill, then the GRE may be best. Both tests have pros and cons depending on your personal strengths. I would recommend that you try a few practice questions for both the GRE and GMAT to get a sense of which might be easier for you. This really confused me because it sounds like they have a preference for GMAT but then said its a personal preference which test to take? It didn’t really help me to make a determination. Can you possibly help me to understand this better? Thanks for the response! I was leaning toward the GRE but was concerned after their reply that I didn’t have much choice and taking the GRE might put me at a disadvantage compared to other students. They mentioned the integrated reasoning as the reason for the GMAT preference…so I’m not sure how that would affect my application if I don’t have it? I’ve taken a GRE practice test and will do one for GMAT (I’ve done some math/verbal practice questions but not a full length test). I found the GMAT math very difficult and not sure I can improve enough on that compared to the GRE. Do you have any suggestions? The math concepts they test (GRE and GMAT) are the same, but the way they ask questions is very different. If you find that the GRE makes more sense than the GMAT does for you, then that is a good indicator you might want to go for the GRE. I have already done MBA in Finance from India and having 3 years of work experience as Financial Analyst. Now I have moved to USA on dependent visa. Since, I can’t work and our EAD will take another one plus year to come. I don’t want to sit idol and show skill or education gap to the future employers. I was planning to do MS but not sure if this is the right education for me! Also, Please suggest if I have to choose GRE or GMAT? I am really not a fan of maths. The GMAT is usually used for MBA admission (though some business schools now accept the GRE as well). If you decide to get your MS, you will probably take the GRE, but you will have to check the admissions requirements for your target schools.Each school sets their own requirements. 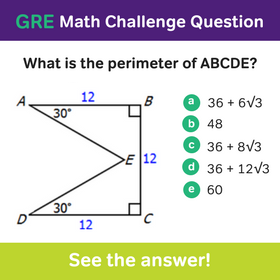 The math section of the GRE is a bit easier than that of the GMAT, so if you have a choice, the GRE could be a good choice for you! I’m Sameer and i just finished my graduation. I had prepared for my GMAT during my final year but due to the college workload could not prepare very well and hence decided not to give it. I’ve taken a small break and would be interning and studying for my GMAT again. But i just found out that the schools i want to apply to for a MIM( London Business School, HEC Paris, Rotterdam School of Management etc) accept GRE scores too and having prepared for GMAT, GRE prep seems easier. Could you guide me about this dilemma?Thanks. If your graduate degree will also be in engineering, it’s probably best if you take the GRE. Most graduate engineering programs ask for the GRE and not the GMAT. The GMAT is usually used only by business-related graduate programs. Ultimately, this comes down to which exam your school wants to see. If you’re not sure whether your target schools require the GRE or GMAT, check with the admissions office. Then do whatever exam is required. I want to do my MBA and both gmat and gre are accepted by the universities that I want to apply. I want to know which I get more score? Gmat or Gre by 6 months preparations. 1) Your school’s preference, if any. Check with your grad program to see if they prefer one test over the other. Even though programs sometimes accept either the GRE or GMAT, they may also have a preference. If your school has a preference it’s probably best to go with the exam that they most like to see. 2) Your own preferences, in terms of which kinds of academic skills are the easiest for you. Depending on your own unique abilities, the GRE may be easier for you, or the GMAT may be easier for you. To figure out which exam you can do the best on, check out Chris’s side-by-side comparison of GRE vs. GMAT. Hi there,I am currently preparing for GRE.I want do MBA in canada.I am aiming at universities like university of Toronto,university of British Columbia and university of Alberta.But i could not get anything clarified about the requirements(like GRE/GMAT) in any university website.Some say they don’t require any of it(they are given as optional actually).So i am really confused that what should I do.Should i just go for GRE?Or i should go for GMAT.Or both.By the way I am currently a b.tech student in India and have all the requirements(first class in bachelor program and required IELTS/TOEFL marks) met to get into any of the above mentioned universities.So it is only this GRE/GMAT which has restricted me to go for one of these universities.So I really need your help. Thanks a lot in advance for any kind help you can provide.And also big thanks for your GRE prep materials. University of Toronto: No requirement listed, though they want a GRE or GMAT score. UBC: Minimum of 550 GMAT with at least a 50th percentile in each test section OR 150 GRE score on verbal and quantitative section, but competitive scores being 650 GMAT OR 310+ GRE score on combined verbal and quantitative section. University of Alberta: The GMAT is a requirement for all applicants and we will not consider applications without a GMAT score. Ideally, applicants will submit a minimum GMAT score of 550. They also say the GRE is acceptable, but you need at least 50th percentile scores. In none of these cases are the tests optional, so I suggest you do more careful reading about the programs you want to attend. I would tend to recommend the GMAT because that is directly geared for business tests (and on occasion employers or additional programs like to see a GMAT score), but if you absolutely can’t do the GMAT, the GRE would work for you. I m currently pursuing B Tech. In mechanical but i want to opt MS in Finance. Is it possible ? ?.If yes how much is the fees..i wanna make sure that ms doesn’t make hole in my pocket. Unfortunately, we don’t have nearly as much expertise and experience in graduate school counseling as we do with test prep, so I’m afraid we can’t be of much help. I would contact the program directly and further discuss your opportunities and costs if you decide to make the pivot. As a reference, you can also check out some of the Magoosh’s recommended grad school sites and resources through this blog post. These resources may be helpful to direct your question. I am interested in MS Information System, MS Management Information System and MS Business Analytics, I hage already taken GRE once and have got a very low score, however as you very explained that it depends on the universities I target, that which one they prefer, whether GRE or GMAT. But my question is that, since I am more inclined towards the management part of the information system and I am interested in data modeling and analysis. Should I retake the GRE or should try of GMAT. Because few universities who provide MS IS under the department of CS require more Quant score while the universitie who provide MS IS or MIS under the department of management emphasis on both vocab and AWA. The best approach will be to contact your target programs to confirm if they specifically require a certain exam. If more programs require one over the other, then it may be more helpful for you to take that exam. However, another variable that you should take into account is which exam you believe you can perform better on. I would take a look at the section of this blog called “Is the GMAT more difficult than the GRE.” Then, I would recommend that you also try out a few problems in both exams to see how comfortable you are with both. Doing this proactively will allow you to maximize your studies in your next 3 months. Thanks for this great comparison. I have a question and would appreciate if you could answer it. I have already taken the gre and my quantitative score was 160. To take the GMAT, do i need to study some more mathematical subjects or just the questions are more difficult on GMAT quantitative? The GRE and the GMAT use basically identical math concepts for their questions. The major difference is in the emphasis that the tests place on different subjects. For example, the GRE places more emphasis on geometry, data interpretation and statistics, while the GMAT includes more complex questions that require a deeper understanding of basic math concepts. But they are so similar that we use the same set of math flashcards to cover both tests! The questions in the GRE and GMAT are very different and require different strategies, however! One of the major challenges of switching between tests is understanding the different strategy and pacing that is required for each test. You can check out our GMAT blog for more information on the question types and format of the GMAT. I need advice, I need to start preparing forcthe exam as soon as possible but I am still confused about which exam I should give. I am non native English speaker. In general, once decide to give GRE or GMAT, I need to work hard on my math skills because I am not maths fan and most of the math basics I have forgotten. For the verbal section I tend to the one in GMAT because its focus about grammar and not advanced words like the GRE. And I think as a ESL student, Grammar and structure are more easy than advances words. Yesterday I did the GRE practice exam without any preparation and I got (130) in verbal and (137)in quant 🙂 I still didn’t do the practice exam for GMAT, but I tried to solve 15 verbal questions ( all the verbal questions types), and I got 7 correct out of 15. Happy to help 🙂 The first think you should do is make sure that your target programs accept both the GRE and the GMAT! It could be that some of your target schools only accept one of them, which would narrow down your choice. You also need to consider which score is most important for your program. You can get this information from the school’s admission website. The GMAT math section is harder than that of the GRE, but you are right that the GMAT verbal section may be easier for a non-native speaker because of its focus on grammar. So if the verbal section is most important for your programs, then the GMAT might be the best choice. On the other hand, if the math section is more important you might consider the GRE. I wouldn’t be too worried about your practice test scores. You have done no preparation, and the GRE is an extremely difficult test that requires specialized knowledge of concepts and strategy. There are very few people who could take the test with no preparation and do well! But my problem is that, I have done my bachelors in Bioinformatics (B.Tech.) and now I want to change my stream to management and not particularly MBA but in courses like MS in management or MS in International Business etc. so for which test I should prepare for GRE or GMAT. Hey.. i want to apply for msc in operational research (in UK) which comes under management science.. and i am quite comfortable with GMAT but i’m confused if this course needs a GMAT or a GRE. Universities do not specify it either. Please help! Thank you for a great comparison. I recently took the GMAT and scored an unsatisfactory 620 (Q36 V38). I had studied at less than full capacity for two weeks prior to the test date. My heart is set on very elite programmes and a high score on either test is thus a requirement. Although English is my second language, I’m more naturally inclined to the verbal questions than the quant. This leads me to think that the GRE is a better match for me. However, when taking the GMAT I listed the schools I want to apply to, and they have now received my score. Is it a bad idea to switch from the GMAT to the GRE now, both study wise and considering how the schools will view this? Most schools, even top ones, simply consider your top qualifying score in any test you’ve taken, without thinking about your past scores. So switching to the GRE and submitting new GRE scores after you already submitted GMAT scores shouldn’t hurt your chances of getting accepted. Still, relatively few students take this approach, and every once in a while you’ll find an elite school that actually cares about all of your past and present scores. So to be safe, you may want to check with individual schools and see if this would be a problem for them. But like I said, the chances are good that a GRE retake can’t hurt you and may work in your favor. I am doing LLB and now i want to change my stream to something like management but I’ll be able to do that after my graduation so can you guide me that whether i should go for MBA or not? If yes then why?? Is it good from future perspective??? Help me out please. Unfortunately, our expertise here at Magoosh is in test prep, not admissions or career counseling, so I’m afraid that I can’t be of much help. Another reader might have some advice for you, but I can recommend some admissions counselor sites that might be helpful. We have worked with Accepted and Stacy Blackman Consulting for years and highly recommend their services. I hope that helps at least a little! In the comparision infographic, it is mentioned that a 326 in GRE is a 90 percentile. However, consider this : A 90 percentile is GRE Verbal is around 161 and that in GRE Quant is 165, which gives a total of 326 itself. So, if I get a 90 percentile individually in both sections, shouldn’t I be expecting an overall percentile which is much higher than the 90th mark? I am a bit confused right now about this test. I want to pursue Masters in Management Information Systems for my graduate school, but I am not sure whether I should take GRE or GMAT. If you are curious as to whether you are more suited for the GMAT exam, the most accurate practice test is the one offered by GMAC called GMATPrep. It’s the equivalent of PowerPrep for the GRE. Take both of those exams, and see which one you find easier or more suited to your skill set. * GMAT has a specific lesson section geared towards Data Sufficiency. * For the topics that overlap, the GMAT lessons go into further detail, with lessons that explain more advanced strategies. * GMAT verbal focuses more on grammar, while GRE verbal focuses more on vocabulary. * The biggest difference is that GMAT math is generally a bit more difficult than GRE math. I hope these ideas help you as you decide between the GMAT and the GRE 🙂 Happy studying! is it possible to prepare for both GRE and GMAT and get good scores on both? 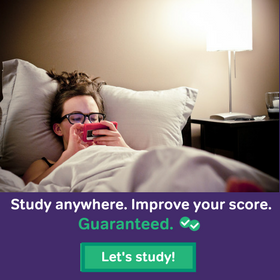 if yes, then can you please give out some tips about the strategy to study. I can take this one, Chris! 🙂 The GRE and GMAT are similar in many respects, and you really can study for both of them at the same time. The real trick here is understanding the little differences between these two graduate exams– that way, you’ll be fully prepared on test day for both tests, with minimal risk of becoming confused or getting caught off-guard. In Verbal, the GRE focuses a lot more on vocabulary that the GMAT, especially when it comes to GRE Verbal Sentence Completion. GMAT Verbal has a lower vocabulary level, but harder grammar content, what with its Sentence Correction questions. In Quants, the math content is almost exactly the same, although the GMAT has its own unique data sufficiency questions, which test takers often find challenging. Similarly, the GRE has Quantitative Comparison questions, very unique to that test. As you think about all this and plan for a study schedule that includes both exams, be sure to check out Chris’s side-by-side GRE vs. GMAT comparison charts. I want to get a masters in hotel administration / management but the program offered in some universities vary from MSc to MBA. does this mean I would have to take both the GRE and GMAT or I can take just one of the exams… and which one would be most suitable? I want to apply for Master’s Degree in computer science.So which exam should i take GRE or GMAT. 1. GMAT has a specific lesson section geared towards Data Sufficiency. 2. For the topics that overlap, the GMAT lessons go into further detail, with lessons that explain more advanced strategies. 3. GMAT verbal focuses more on grammar, while GRE verbal focuses more on vocabulary. 4. The biggest difference is that GMAT math is generally a bit more difficult than GRE math. There is a situation going on here. I applied for the Ph.D. program in Business administration and took GRE for a couple of times. I know that my Verbal score is so important as well as the Quantitative and Writing scores. Since my first Language is not English, I have some issues with the Verbal section. I got so many rejections because of my GRE scores, but one of the Universities asked me to apply for the winter 2017 and retake the GRE. Meanwhile, I should get 70th percentile on every section to be admitted and I am planning to take GRE or GMAT. For my last two GRE, I used Magoosh and I am so pleased that I did so. If I take GMAT next time, It will be my first experience of it. So, my question is that Would you recommend me to take GMAT because I tried GRE many times and I did not received a good Verbal score? or would you recommend me to take GRE because I am familiar with it? So there is a lot similar between the two exams, but there are also parts of the GMAT not found on the GRE. Let’s start with the quantitative section. The good news is that all the math concepts tested on the GRE are the same on the GMAT. The word problems on the GRE are similar to the word problems on the GMAT. Also, the GMAT is all multiple choice questions, so you won’t see any numeric entry questions or choose all answers that apply. But, the math on the GMAT tends to be a little more difficult. Also, some of the question types on the GRE, Quantitative Comparison and Data Interpretation, are not on the GMAT, but there are questions that are comparable. For example, an entire 30 minute section of the GMAT is dedicate to Data Interpretation, but is harder and formatted differently. It is called Integrated Reasoning. Quantitative Comparison is replaced with Data Sufficiency, which takes some practice to do well on. As for the verbal section, you will find the Reading Comprehension on the GMAT very similar to the GRE. Both tests ask similar questions and are testing similar skills. On the GRE, you encounter a few questions that involve arguments. On the GMAT, you will encounter many more. These Critical Reasoning questions are similar to what you see on the GRE, but perhaps a little more difficult and involved. The last main difference between the two tests is related to vocabulary and grammar. The GRE places more emphasis on vocabulary with the Text Completion and Sentence Equivalence questions. The GMAT, on other hand, places more emphasis on grammar with the Sentence Correction questions. Have you had the chance to take a mock GMAT exam? If you do that, you could compare your percentile ranking for that exam to what you already know about your GRE abilities and use this to make the final call. It is possible to be successful with either one, so the decision should really be made based on which one showcases your abilities the best. Am looking at going to business school and test requirements and pretty much all of the schools on my list accept either the GRE or the GMAT. My question is, even if some programs say they accept both tests, is it possible that these programs may secretly prefer applicants that take one over the other? In other words, even if my program accepts both tests, could taking one possibly give me a leg up in admissions versus taking the other? You want to pick the test that showcases your skills the best. If you can get the 90th percentile in GMAT quant but only the 75th percentile in GRE quant, then they’ll not-so-secretly prefer your GMAT score because it shows greater quant strength. I’m stuck with GMAT for couple of months but it was so hard to understand. It seems that GRE looks easy so final decision is to take GRE but will it strengthen my application if i’m applying for master in finance/accounting at any university in USA. Need Serious Advice. The answer really depends on your programs of choice. Some do not accept the GRE and others do, so you want to make sure you know where you want to go before switching to the GRE! Have you done that research? It’s a very important part of this decision. Thanks for the comparison but GMAT, GRE only required for business school ?? I want to ask you that which option is the best way to prepare for the GMAT or GRE preparing online or offline. If online then by which company……. If offlinenene then by which coaching institute or by which set of books…. I have a total experience of 4 years in IT(Accenture). I want to apply for an MBA program in supply chain domain but I am not sure whether me taking up the GRE would help. Can you please help me to identify few of the good universities which accepts GRE scores. You’ve been doing some amazing work here helping out a lot of people understand the basic difference between GRE and GMAT. I’ve done my bachelors in marketing and finance and I’m looking forward to pursue a Masters degree in SCM. The business schools I’ve shortlisted are indifferent about GRE or GMAT. I don’t have a strong grip on my English (the vocab part especially) but my maths is quite strong. Moreoever, I want to keep my options open for an MBA program. So what would you suggest in this scenario? Should I go for GMAT or GRE? I worked as Software Developer in one of the top Investment Bank and top Hedge Fund for three years. I want to pursue PhD in Finance and would like to come back to same Industry but in different profile. What is the right path for this? I am in mid way of my GMAT preparation and in a few weeks I will write the exam (expected score 690-710). What is the right path for this? Shall I do MBA and then go for PhD or there are other/better paths as well? Best to have a master’s then pursue a PhD. As this reflects research skills. Not always necessary, but have a master’s will put you above the rest. I have two MSc both distinction and now will be taking on a PhD, but like everyone else I need to do the GMAT. Hope this helps. I Have a question concerning Magoosh GMAT or GRE test. Does Magoosh offer online GMAT or GRE test? I wish to pursue MS in Applied Math from a US uni starting Fall 2016. The thing is,I am an Electrical Engineer with 2 and a half years in Supply Chain sector. I have always been inclined towards Math,have scored pretty well in Math in all 4 semesters of college. How difficult is it for me to make it to a good MS program at a good college? I have no publications. Oops,I have a 159 in Verbal,not 169. And a 5 out of 6 in AWA section. Pretty good scores, man! How did you prepare? Any updates on your admission to US universities? I am currently working in a bank and previously worked as a day trader. I wish to pursue MS in Economics or MBA in Finance through a reputed university.I have a graduate degree in Electronics but I have around 4 yrs experience in finance sector overall. I have heard that GRE admission requires recommendations as well- so who should recommend and would it be having greater importance than the GRE scores itself? Additionally, I’d recommend directly contacting the schools/programs you’re interested in to see if they can offer any insight, or check out the programs’ websites to see if they have any info! I hope that helps at least a little! I have been following this page and I must tell you many of the answers have actually cleared my doubts. I have one pending query though. I am planning to pursue a Phd in Operations Management from a reputed university in the USA. I know many of the universities are now accepting GRE or GMAT scores for applications but my basic online searches tell me that if it is a management related Phd then GMAt shows more seriousness on the part of the applicant and that GRE comes across as an easy route for admission. I would like some clarity on this point. What should i attempt in order to make a strong candidature to the universities? GMAT or GRE? My MBA will be over by April 2015. And I have been thinking of doing some degree from USA and then settle for a job there itself. But I am confused whether I should go for GMAT or GRE. Is doing another MBA from GMAT worth it or doing masters would be better. Strong point- math, decision making, critical reasoning. Week point- vacab. ( I have trouble using what we say heavy words otherwise my English is fine I guess). I was looking for MS in Digital Marketing and didn’t know which test should i take, GRE or GMAT. In my case NYU School of Professional Studies has option for both GRE & GMAT which is optional. However if they require i think i will go for GRE. Thanks for making in depth Infographic. I am in my third year pursuing Bsc.business and management from a college in India which is an affiliate center of University of London.I have a final year left which I will be doing externally.I am looking for a liberal arts course abroad or a masters programme which is business related which will give me more options to further my career in management.I was wondering if GRE/GMAT is the way to go.I do not want to pursue MBA at this stage.Will taking them improve my profile considering I do not have a very strong profile. I want to opt for MSF or MS finance course from US but i am confused which exam needs to be taken up. GMAT or GRE. please guide on the same. And also suggest some good GMAT/GRE books for preparations. I’m planing for international affairs masters in US. I’m confused between GRE and GMAT. The schools I’m targeting accepts both score. When I applied to international affairs programs (back in late 2009), all the programs I looked at (Johns Hopkins SAIS, George Washington University, American University, and UCSD’s IRPS – now GPS program) accepted the GRE, so that’s what I took. I ended up attending a program that had an international business component, but they still didn’t require us to take the GMAT for admission. Since the schools you are targeting all accept both exams, I’d recommend taking whichever one you find easier. For me, and for a lot of students, that’s the GRE. Great post helped a lot, so apparently I’m taking the GRE. My only problem is there’s no way to get prepared for the exam here in my city, one of my brothers is in the states right know so I’m ordering a book to help me prepare for the exams by myself. As I espected there is like a hundred different books for this porpuse so my question is which one would you recommend, have you heard of a book that’s better than the others? Thanks a lot for your help. You’ve come to the right place, because Chris wrote a post answering just this question: The Best GRE Books of 2015. You can also see our full list of GRE book reviews here. I hope you find this helpful! Hi, could anyone please explain how to answer Sample Question No. 4 (the one with the percentages)? Thanks! I got a Quant 41 / Verbal 39 on the GMAT for a 650 overall and recently took the GRE and got a 161 Verbal / 162 Quant. Do you have an opinion on which of these I should submit to business school programs? Bonus fact: my GMAT score report will also show a cancelled score since I got that 41/39 because I tried again and didn’t do well and I also took it in 2010 and got a 640 (42/35) so my GMAT report looks pretty shady. I haven’t ever heard anyone describe their GMAT report as “shady” :). I like that! I don’t think it is that shady–though it’s not as “innocent” as your GRE score report. According to the conversion table your GMAT and GRE scores match up perfectly. That would tilt things in favor of your GRE scores, but some programs–whether they say it or not–favor the GMAT more than the GRE. This is esp. true for programs that favor quant. I’d do a little more research into the schools/programs you are looking at (maybe see what the average GMAT and GRE scores are). thanks for the succinct and insightful article! I’ve already taken the GRE in 2010 for my Master’s, and my scores were: Quant 800 (94%) Verbal 570 (80%) Analytical Writing 4.0 (45%). I’m now planning to apply for MBA programs (Round 2, Fall 2015 entry), and am targeting the top 10 programs (particularly Stanford, Berkeley and Columbia). From what I know, my GRE converts to a 690 on GMAT. Therefore I’m wondering whether it makes sense for me to take the GMAT as well, given that there are all these nuances involved in the question “GRE or GMAT”? Given your strong quant ability, you should definitely take the GMAT. That may allow you to truly shine, esp. because the verbal section is more logic based than vocabulary based. Take a practice GRE and a practice GMAT test (both official questions), and compare your percents. thanks for that insight! Yes, I’ve noticed how the verbal part on GMAT seems so much more reasonable than that on the GRE. Just need to brush up on my Quant skills though. Let’s see how the GMAT results will be like in the end. I took the GMAT in Dec 2012 and scored a 700 (Q46, V40) – clearly based on the percentiles (quant ~ 70%, verbal ~ 91%), my quant is shaky. I am targeting a top 10 business school in the US for 2016 applications. Given my stronger orientation towards verbal, I am inclined to take the GRE in order to improve my score to submit a more competitive application. Would you think this is sensible decision? I will take a few diagnostic tests to get an actual feel of the GRE quant. One of my major issues with the GMAT quant has been timing…. I’m submitting testing for an MBA. My GRE Score converts to the same score as my GMAT. However, the percentiles of my GRE are significantly better than those of my GMAT. That’s a good question, and the answer may depend on who is looking at your scores. Some programs weigh GMAT higher than the GRE–though they’ll never say so. In that case, you’d want to submit your GMAT scores, even if the percentile is not as impressive. Conversely, some schools may weigh the two equally, in which case the GRE would, perhaps, be the better test to submit. The only reason I say “perhaps” is some schools may be aware of the discrepancy and not accord greater status to the higher GRE percentiles. When in doubt, submit the GMAT scores. They tend to–even when the percentiles are taken into account–look stronger from a b-school point of view. I am planning for MBA from US or UK next year and i am confused between both the exams. Can you help me in finding my best fit. Which one should i take ? Based on your strengths, I think GMAT would be a better fit, since a strong score on GMAT quant impresses b-schools a lot more than a strong score on GRE. Based on your weaknesses, you might want to stay away from the GRE. That said, vocabulary is very learnable, but you will have to put in a lot of time and effort. Finally, the Sentence Correction accounts for about a third of the GMAT verbal, where vocabulary is really a constant across the GRE verbal, except for a couple of logic-based questions. Great Blog! Thanks. Would you please help me in deciding whether I should report my GMAT or my GRE score. My GMAT is 680 (Q49, V32) and GRE is Q170, V150. I know none of them is good enough but which one would you report to schools which accept both? Do you know how they would compare GRE scores with GMAT scores? Do they use ETS comparison table? Thank you. Thank you for this article; it’s very helpful. I am planning to purse an MBA mainly in Canada or Spain, English is not my Mother tongue. I started 2 weeks ago studying for the GMAT but a friend recently recommended the GRE as he did both (twice GMAT) and got higher score in the GRE (once). After reading this article, looks like the GRE needs a great deal of vocabulary but the GMAT math side is harder. so what do you recommend ? Presently, it seems that many international b-school programs only accept GMAT. You’d want to look into that before seriously considering the GRE :). If the programs you are interested in do accept the GRE, then you should try taking a mock GRE test (Powerprep test) and a mock GMAT. If the percentile rankings differ significantly, the choice is clear. As for prepping, the GMAT will require more rigorous quant studies; the GRE will be more vocab intensive. Hi! I found your article of much help in understanding but I’m still confused wether to take a GRE or GMAT. I’m currently doing mathematics honours and want to go abroad for further studies.. I’m good at verbal English and also math but I think GRE offers wide choice to choose between whereas GMAT offers only MBA. And I cannot make up my mind wether to pursue a master’s degree or management. Please help. What would be more apt for me? Keeping in mind my bachelor’s degree in math. Taking the GRE may be the best for you, since, as you mentioned, it keeps many doors open. My only reservation is that some quant-heavy programs will still probably favor the GMAT over the GRE (even if they accept both). In other words, a 51Q on the GMAT is more impressive than a GRE 170 (at least that’s my guess). Thanks for your reply Chris! Much help! I went through this page. It was of great help. I´m not agree with the article. I´m preparing for a MPA or an International Relations Master Program and in most of them accept GMAT too. Both GMAT and GRE are accepted in most of the Master degree of US, Harvard included. It seems that international institutes have been a bit slower to adopt the GRE–so you’re right: both the GRE and the GMAT are accepted in most US b-schools, but not in most international schools. Thanks for sharing. Just finished my first year and started looking for requirements for a master degrees. This blog surely helped. I just loved your write up. One of the best I’ve read from my searchings from past 6 months and seeing your replies i am hopeful I shall get a reply too. See I am very sure I want to do an MBA but am just off from college and wish to do so now.So I want to know whether getting a two years experience will be necessary/important or I should apply directly. As they are expensive exams I have to be very sure. Secondly, I am poor at complicated maths so I guess GRE will be easier but I don’t understand in multiple answers of a GRE question do I have to select all the three like in the question given above or choosing 1 or 2 of the rights will also be considered as the right answer? I still struggling with my issue. I am interested in applying to US, so that means GRE and GMAT are the only choices. So, far so good. But, I am indifferent between a few courses, like I want to apply to both MBA and Finance and select one when the admission is granted. I am not a native English speaker, so I think GRE would be a bit difficult. In case, I go for GMAT, would I still be able to apply for courses like Finance and Economics? Also, a quick questions, two students with same percentage score in GRE and GMAT with one seat available, who will be preferred? Good questions! Though I’m not sure I’m really equipped to answer all of them :). So, the GMAT is ONLY good for b-school. If you want to do an MBA with a emphasis in finance, you are fine. If you want to get a masters in economics or finance (or a Ph.D. for that matter), then you can ONLY take the GRE. The GRE, however, is fine for b-school. As to who that final seat would go to? If it is a quant-heavy program, GMAT, probably. If it is a school that has long accepted the GRE (Harvard, Stanford), then the answer isn’t really clear. Hope that helps (at least somewhat :)). Thanks a lot for your reply. It was significantly helpful. You are a genius. So, if I go for GMAT, MBA will be the only option for me. Right? On the other hand, GRE can take me to Masters in Finance and possibly MBA too. Correct? I’ve heard that the scores for the GRE last for 5 years. I am not planning to start my MBA for a couple years still, but I would like to focus on preparing to take the test in the next 6 months or so. Do the scores for the GMAT last as long as the GRE? From what I have read on this page, I think I would do better with the GMAT. I would prefer to take that if my scores will still be valid in 2 years when I am applying for grad school. Let me know if you have any suggestions for me! Yes, GMAT scores also last 5 years. Since many MBA programs just started accepting GRE scores, the assumption is that they are accepting scores for the revised GRE (which debuted in Aug. 2011). If your GRE scores are from before that time, I would recommend definitely taking the GMAT. Since you sound stronger at the GMAT this shouldn’t hopefully be a bad thing :). It was really helpful but I am still confused with GRE and GMAT because I am preparing the GMAT for the last two months and now I realize that if I had gone for GRE I can apply to any program locally and international so can someone help me with this? As I am good in english grammer then vocabulary and not good in math. But GMAT has few parts in verbal and quantitative section. If you are already prepping for GMAT, taking a GRE practice test shouldn’t be too bad. Get a sense of what you percent rankings are. With the GRE, doing better might largely come down to vocabulary and reading more advanced texts (The Atlantic and The New Yorker). Ending up taking both tests will give you a lot more options. And you might do significantly better on one test, something you can only know by having a go at both. I want to apply in Business courses,and don’t have much grip over my Maths abilities. Which test should I take? And please tell me that whether Business Schools will accept GRE? Most business schools will accept the GRE. Some say that certain schools may weigh the GMAT more than the GRE, but that is hard to substantiate. So if your math is shaky and you have strong vocabulary/reading skills, I’d recommend the GRE. Where did you get that a 326 combined GRE score is 90th percentile? I haven’t found any published information about percentiles for combined scores, but 326 seems too high (based on the published information about percentiles for math and verbal and reasonable estimates of correlation between the two sections). The cost for GRE is now $195; not $185. So if asked for non native speaker students, GMAT is easier coz, this test puts us in relatively equal position with native speakers as higher standard of language and vocabulary is not required. Thank you Margarette. Personally, I agree with your comment. But seeing from different perspective the admission process is competitive. In my view it is like giving same exam paper to 10th grade and 8th grade students in case of GRE. But in case of GMAT, Math is universal and basically it is a matter of understanding the question correctly. Also I must admit that the discussion here is giving me lots of color on what i should do however, can i ask you and other guys one more question. While going through different information in the internet, I am getting sense that the B-schools prefer to receive GMAT score rather than GRE score even though they do not openly state it. Does this information have any merit? My intention is just to make sure I do not miss any chance. Below is one of the couple of examples i found. Hi, I just thought I’d chime in here :). I think that post had some merit at the time (I remember reading it on GMAT Hacks a few years back). Since then, the GRE has become more popular amongst b-schools and is now an inevitable piece of any b-school decision: which test should I take? I’d say your main focus should be determine via a mock test which test you perform better at in terms of percentile. If you score about the same, then take the test you feel you will be able to improve out more readily. Do you like studying vocabulary? Are you stronger at quant? That sort of thing. The both exams are designed for native speakers as i understand and English is not my mother tongue. So if asked for non native speaker students, GMAT is easier coz, this test puts us in relatively equal position with native speakers as higher standard of language and vocabulary is required. Please kindly comment if i am wrong or anything to be added. Very helpful info. And the best thing is that, a lot of information about the two has been covered very briefly and effectively…..
couldn’t decide on which one to take this helped a lot!! Thanks a lot Chris.. The details and visual explanations did make things very simple and cleared all possible doubt ! A question tough : As I am planning to pursue my MSc in Hospitality & Operations Management GRE is the best option right? I have checked with the University, they have left the option to me either GRE or GMAT ? Please advice. Once again a BIG thank you and god bless !! Glad the infographic was helpful! Regarding your question: take whichever test you feel more comfortable at. If you are very strong at math, then that may be the GMAT. If you like vocabulary and reading passages, then the GRE is the test for you. I am contemplating business school for myself and was collecting all kinds of useful study resources for GMAT. I have never been great in standardized tests, esp. the GRE and during graduate school I didn’t really get a good score(although a respectable one to get through school….thankfully) 🙂 . Now with GMAT I definitely want to devote my time productively to get through a reputable business management evening school. Based on your tutoring experience, do you think a bad GRE past score has ever showed any correlation or relativity with a GMAT performance . My maths is not that great, can you suggest some good study resources to survive the GMAT. Also what does Magoosh has to offer in Integrated reasoning? I would say there is a little bit of correlation. But people do change. And knowing that you can do significantly better on this test can actually make a big difference :). That said, the GMAT does have a more difficult math section. As long as you work hard, and prep with more vigor than when you took the GRE, I’m sure you can make significant improvements. Magoosh does offer Integrated Reasoning. We’ve got quite a few questions, so you’ll have plenty of practice. Awesome! I’m happy this infographic is resonating with others. It really simplifies things :). 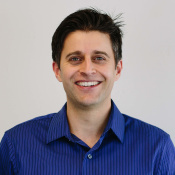 Hi Chris, I took GRE for my current master program at Stanford. I did only Okay (160/162) and am thinking about a dual MBA/JD program in the future (will go to work for a couple years after I graduate from Stanford). I know that I should finish all tests while I’m still at school. So I’m just wondering should I retake my GRE or consider taking GMAT if my targets are Stanford, Harvard, etc.. I would say that I’m equally good (or bad:) at quant and verbal. Thank you so much!! !